Steel Donkey Bike Tours kindly invited me to try out one of their tours. (click on the header to go to their site). I’d never had a bike tour of the city before. You may have read before on here that I like surprises, so I went in to this not knowing what to expect. I originally thought a bike tour would be a huge groups of lost tourists biking in the way of everyone and everything. 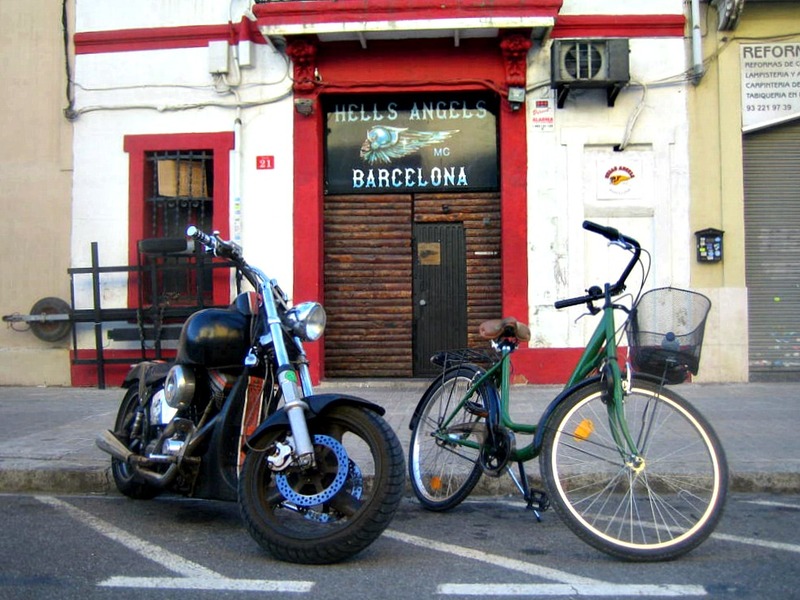 These alternative bike tours of Barcelona are a whole different beast from what I was anticipating (sorry for the bad pun). They run up to a maximum of 8 people (with 3-4 being the average number of guests on a tour), so you really get a cool, personalized experience. It’s basically a private tour of the city done on bike. You get a mix of a personalized tour and a fast, comfortable way to see lots of the city. Our tour guide, Edu, was a Barcelona local who’s lived all over the world but came back to his hometown. He spoke great English and knew tons of fun little facts about the city. Edu took us all around the Born, up for a surprise in the Eixample, and down to the beach. He was very knowledgeable about the city’s history, pointed out small details you probably wouldn’t have ever noticed, and was also extremely flexible. If somebody spotted something interesting that wasn’t on his tour list, we biked off towards it and he would tell us everything he knew (and usually he knew plenty!). Speaking of the bikes, we used lightweight, comfy cruisers that were very easy to pedal and manage. I thought I knew lots about Barcelona, but I was blown away by how many cool things Edu showed us. After almost two years here, I hadn’t even noticed most of them. That’s the great thing about having a local guide! He was also very friendly. Although I didn’t know anybody when I started the tour, by the end of our afternoon it felt like I’d been on a fun bike ride with friends, not a stiff, formal tour. It was relaxed, fun, and really enjoyable. We finished off our tour in the best of ways – with a cold glass of cava and a hot sandwich at the Xampanyeria! So why the name Steel Donkey? “Iron donkey” is a nickname for a bike, and these bikes are steel, not iron. But it goes further than that. 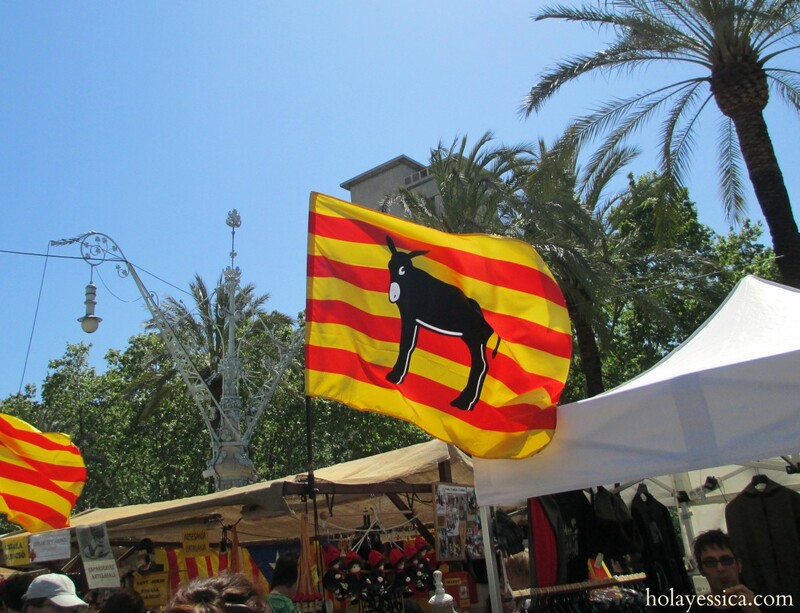 The donkey is a Catalan symbol (essentially a cultural middle finger to the traditional Spanish bull). The name is quirky and reveals something you may not haven known about the culture – a bit like the tours themselves. So what about downsides to the tour? Well, I think if I were just comparing bike tour prices, I wouldn’t necessarily choose Steel Donkey. While it’s not expensive (it’s €35 a person), there are lots of cheaper tours. But…those are big group tours. These guys have a private tour experience, and I definitely think it’s worth the higher price after going on one of their routes. That doesn’t come across in a straight price comparison with bike tours. 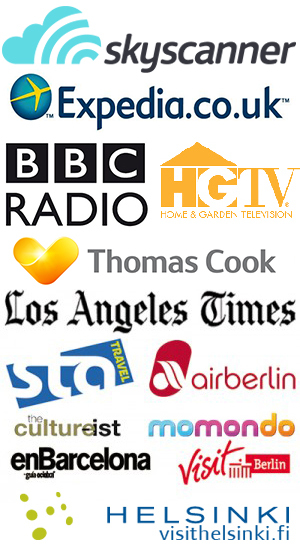 Compare it to private tours of the city, however, and you’ll realize you’re getting a great deal. Apart from the price, the only minor criticism I had was that the Eixample part of the route was a bit odd as we were pressed for time. I would’ve either skipped the Eixample on the tour and stuck to the Born and Barceloneta, or added a few more interesting stops in the Eixample. To be fair, I think that was the original plan, but we got started a little later due to tricky work schedules (um, mine!). Other than those two minor things, I think this was a pretty fabulous way to see Barcelona and to see a side of it that the typical tourist doesn’t get to see. Oh, and one note of caution – biking around Barcelona is generally pretty easy. But beware if you get stuck in a winding medieval street with a herd of other tourists coming your way! 2 is the minimum for a tour. If you go with 2 people, you may get paired up with another couple. 3-4 is better. 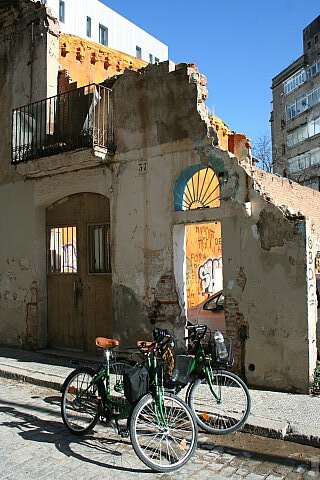 The bikes we rented were from the Green Bike Shop in Plaza George Orwell. Bikes are already eco-friendly, so this is a great way to go. These are incredibly flexible tours. They said they don’t usually get requests for a specific type of tour, but you could work with them on that. We got to explore things that weren’t on our itinerary, and our guide was happy to do so. Tours typically last from 3 ½ to 5 hours, and you’ll get to see a lot of Barcelona. If you have any more questions, they have F.A.Q.s set up here. Thanks very much to Steel Donkey Bike Tours for inviting me on their tour! 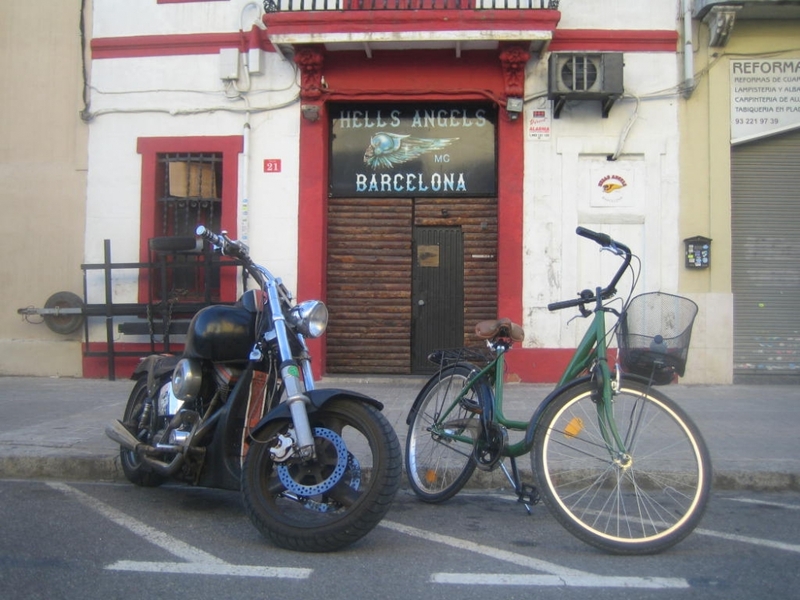 I really enjoyed the bike tour, and I think it’s a fantastic way to get to know a different side of the city whether it’s your first time in Barcelona or you’ve been here for a while. This post was made possible by a third party, but written entirely by me. All opinions are mine, don’t worry! That’s got to go on the list of things to do when I move there…. Highly recommended! They were a lot of fun. You’re welcome! 🙂 I really, really enjoyed them. Let me know how you like it if you go on one! this sounds great! i’d love to take one of these tours next time I visit! Let’s do it! They were so much fun. Ooh have fun!! So jealous, I wish I could have gotten tickets for Primavera, it’s supposed to be incredible. nice. I wish id known of them when I visited. would have been fun. this is why i love reading blogs. one can learn so much that otherwise hard to find on the internet. I agree, that’s a major upside of reading blogs. I’ve always meant to rent a bike on my previous visits but never got round to it. I’ve gotta remember to read this post again before I’m back in September. Thanks Jess! You’re welcome, these guys were awesome! Barcelona is a great city for biking too. 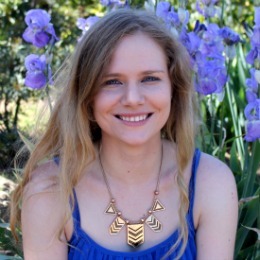 You were so lucky to be invited Jess, sounds like a cool adventure especially in an amazing city like Barcelona. Traveling on a bike is so underrated and should definitely be more popular!